Tower Fund Services is a premier financial services company that strives to achieve results that exceed your expectations. We are committed to providing outstanding service with accessibility, efficiency, and responsiveness. We take a genuine interest in you, understand your objectives, and deliver innovative solutions. We comprehend the magnitude of staying ahead of the curve with industry standards. We strive to contribute to our communities by providing reliable and worthwhile services. We promote active involvement, both as a company and individually, to improve society as a whole. 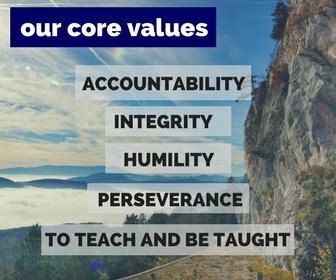 Our culture is based on an unwavering belief in integrity and fairness. We approach every relationship with the utmost respect and dignity. We value long-term relationships with those who share our values. Our company is exponentially more valuable as a group rather than individuals working separately. We sustain an enriching work environment through teamwork, diversity, and ensuring career growth. Very positive experience transitioning to the Tower Fund Services platform from another administrator. Tower is excellent for an emerging manager and the team is extremely professional. After six months in, the service and delivery are both best of class. I would recommend to any new or existing manager to give Tower a try. We enable our clients to focus on investing. Tower Fund Services is an independent third party fund administrator that provides an outsourced solution for alternative investment managers. Our suite of tailored solutions includes fund startup consulting, accounting, valuation, and reporting. We service hedge funds, private equity, venture capital, fund of funds, separately managed accounts, real estate, tax lien, direct lending funds and family offices.